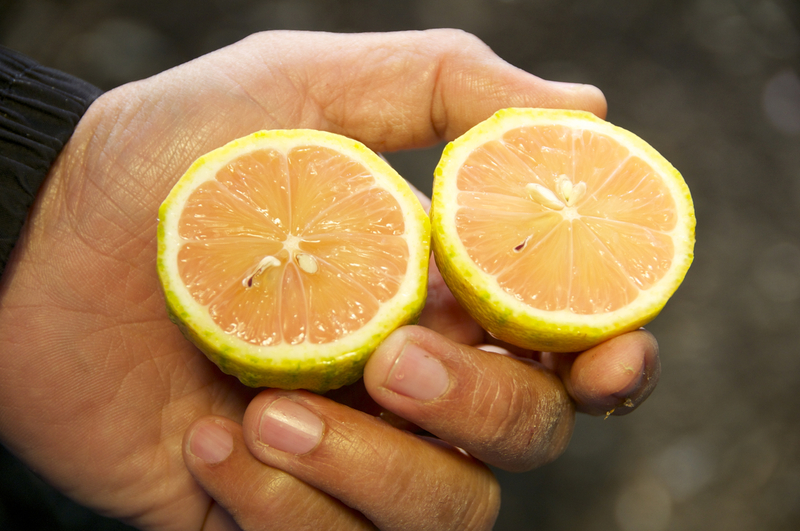 A real pink lemon! Green and yellow and quite bumpy on the outside, but pink and flavorful on the inside. Amazing as a garnish or a tart. Available Sept-Dec.